His NFL career spanned 15 years and two Super Bowl victories. In retirement, Mr. Batch continues to be a respected strategist in the NFL, providing game-day commentary for Steelers broadcasts and several national media outlets. He also serves as Senior Captain for The Trust Powered by the NFLPA, an initiative that Mr. Batch helped negotiate in 2011 with NFL team owners. Additionally, he helps former players achieve their dreams after football as a Transition Consultant for the NFLPA. Mr. Batch is an entrepreneur whose company, Impellia, brings state-of-the-art sports medicine and rehabilitation technologies to everyone. As Co-Founder, Mr. Batch and his partners have brought to market tech innovations from the University of Michigan, the University of Pittsburgh and the University of Colorado, among others. His interest in sports medicine extends to research as well. Mr. Batch is a Player Advisor on the Football Players Health Study at Harvard University. Additionally, he serves as an Advisory Council Member for the University of Pittsburgh Brain Institute. Click the button below to visit the Impellia website. Since 1999, his Best of the Batch Foundation has worked to create communities where all kids and families are equipped with the tools they need to build their own best futures. In addition to his own foundation, Mr. Batch serves on multiple boards. They include the United Way of Southwestern Pennsylvania, the Western Pennsylvania Humane Society and the Urban League of Greater Pittsburgh. Click the button below to visit the Best of the Batch Foundation website. 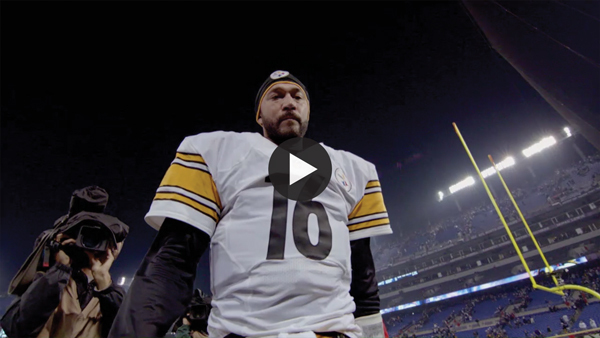 Charlie Batch is a recipient of numerous awards including the 2015 Ernst & Young Entrepreneur of the Year Award for Western Pennsylvania & West Virginia, and the 2013 Byron “Whizzer” White NFL Man of the Year Award. Mr. Batch holds a Master’s Degree in Organizational Leadership from Robert Morris University. Additionally, he holds honorary degrees of doctor from Eastern Michigan University, Point Park University, La Roche College, Bethany College and Washington & Jefferson College.